Hoverboards have become enormously successful at two things since being released for the holiday season last year: consumer sales and causing injuries. These products are also known as battery-powered self-balancing scooters. The negative media attention surrounding hoverboards has caused manufacturers of similar products to take notice. Segway and its parent company Ninebot, along with DEKA, the inventor of self-balancing scooters, have gone on a patent and trademark lawsuitbonanza. 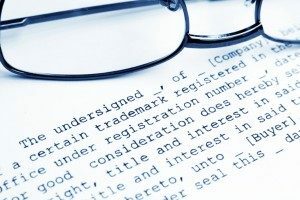 The three companies claim they hold the patent and trademark rights to the technologies being used by other manufacturers. Concerned about the public image of its Segway scooters, Ninebot, Segway and DEKA filed a lawsuit against Investist and Swagway, two other manufacturers of self-balancing scooters. The three companies are also expected to file a lawsuit against Razor, which has been in the scooter business since the 1990s. With so many companies caught up in this mess, customers could easily become confused when purchasing Segway scooters. Segway has also claimed that the recent accidents involving self-balancing scooters have been attributed to its company, hurting sales. Swagway for example, sounds and looks very similar to Segway. If Swagway’s products are hurting consumers or causing fires and sales are plummeting, Segway stands to lose a lot of business. Segway wants damages from other manufacturers for creating the market confusion, and it is asking the court to put a prohibition on the overseas sale and import of copycat hoverboard scooters. This situation could become incredibly damaging for Segway, which depends on a positive public perception of its scooters. If consumers believe Segway scooters blow up and cause fires, or send children to the emergency room on Christmas, it is a no-brainer that sales could suffer. This is another kind of situation that can harm honest businesses. It is also the type of situation that warrants discussing options with a business litigation attorney.